“I am “disciplined”, focused, centred and committed”, “I am “disciplined”, focused, centred and committed”, “I am “disciplined”, focused, centred and committed”…was the affirmation I was repeating while out for my 30 minute walk today. Suddenly, out of the blue, Jim Janz’s smiling face popped into my mind. 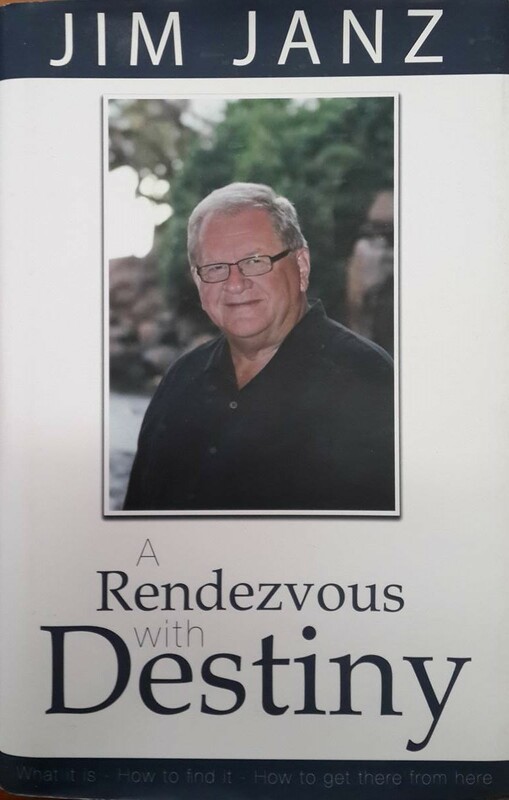 10 minutes later I walk into my home and there sitting on the coffee table was the book A Rendezvous with Destiny by Jim Janz. I picked it up and it voluntarily opened to Chapter 16: The Discipline of Destiny. 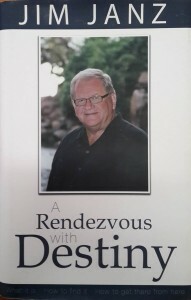 Was it my Destiny to ­­­­­­­­­repeat that affirmation today, have Jim Janz’s smiling face pop into my mind, walk into my home and see his book A Rendezvous with Destiny sitting on my coffee table and then pick it up and have it open to Chapter 16: The Discipline of Destiny. I prefer the latter. According to Jim Janz, “if our dream is focused enough, our purpose is sure enough and our goal is intense enough, the “discipline” part will flow out of that.” He goes on to say “Destiny comes from the gut and drives us to the goal. The man then explained to Jim that he wasn’t doing this by sight alone…he had drawings, measurements, stages and tools for each phase. Without fail he was there every morning at 7:30am, seven days a week…cleaned up between 4:30 – 5:00pm which took about an hour each day. Every hour or so the artisan would stop, then stand back and analyse his work, do measurements and settings to see if perfection was being achieved. The craftsman also had others, some who were professionals, come and check his work almost every day. On top of that he had a mentor who came occasionally to give suggestions and critique what was transpiring from that big piece of granite. To me, it is amazing the lessons that sit right in front of us if we are mindful enough to see them. In the story of the sculptor…the question is…what are the learnings he has taught us while he is having his Rendezvous with Destiny? He had a very clear picture or outcome or goal of what he was out to achieve. How clear are you and I on what we want to achieve? The sculptor was not casual about what he was doing. He was committed and enthusiastic and animated. Are you and I enthusiastic and animated and do we “vigorously” attack what we are doing like the artisan? He had a plan and the plan had a time frame of 9 months. The difference between a goal and a dream is that “a goal is a dream with a deadline or time frame.” Set deadlines and time frames. The man had drawings, measurements, stages and phases and tools for each phase. “What gets measured gets managed and what gets managed gets done.” Put up a storyboard, flow chart, dream board…have your drawings…know how you will measure your progress and for most projects or goals break them into stages and phases and realise…you may need different tools, people or processes for each stage or phase. The sculptor also had the discipline to be there every morning at 7:30am and had a clean up hour. Wow, I could take note of that…that clean up hour would really help me. Also the consistent “early” start time is powerful. As a salesperson what would happen if each week you had the discipline to be at a minimum of two 7:30am appointments with potential or present clients. That discipline alone could give you a 10 to 20% increase. Someone once asked Aristotle Onassis, the billionaire Greek Shipping Magnet (who married Jacqueline Kennedy…John F. Kennedy’s widow) what are the keys to success? He quickly answered; “two things…get up real early each day and always have a sun tan (makes you look successful). I am not sure about the sun tan part…but I can vouch for the early start each day. Every hour or so the artisan would step back, analyse his work, do measurements and settings to see if perfection was being achieved. When heading towards our goal or achieving mastery in what we do, these are a powerful set of “how to’s.” Step back…look at where you are at…analyse what you have done…are you ahead or behind and is the quality there. In addition, he was not too proud to have other professionals check his work almost every day. He even had a mentor that would occasionally critique his work. For years…especially when I was geographically close to Jim Janz…he was one of my main mentors. (I think we need to start skyping regularly Jim) :-). I personally could take a lesson from the artisan on having the professionals check what I am doing and give me their opinions. Just today I met with Siya Mapoko of Mapoko Research International who is an author and speaker whom I mentored for the past 8 years who now is giving me input and mentoring me in areas where he has strengths and experience where I don’t. We will now meet weekly to give each other input. Don’t be afraid to ask for help. The craftsman also worked as if there were no room for error. With granite it is expensive to correct an error. This is a good one…yes we will continually correct ourselves along the way although in business as in life we forget to look at the real cost of errors and often too quickly jump into things without also looking at the downside of certain errors and misjudgements. They can cost you and I and our families years of our lives when it didn’t have to be that way. Take risks but make them calculated risks. Last but not least what I received is to do my work and live my life “as if my work is out there for all to see possibly for one hundred years or more!” This has proven out for me. When I built the 25 Module The Complete Sales Action System…I built it to last and did not cut corners. I thought it would take 6 months…it took me a full year. That was in 1997. In the past month one bank client ordered over 120 sets of the system…17 years later. The program is still very relevant. Last year 2 Short Term Insurance Companies paid licensing rights on the system both here in South Africa and in Dubai. A big part of marketing in my opinion is deliver quality…deliver quality…deliver quality and deliver quality again. Do it right the first time. The longer more lengthy route is more often the real “short cut” to success. Amazing…all these valuable insights that were triggered for me came from one page of Jim Janz’s 227 page book A Rendezvous with Destiny. Can you imagine what’s in the other 226 pages…if we take the time to read and practise what’s in there? 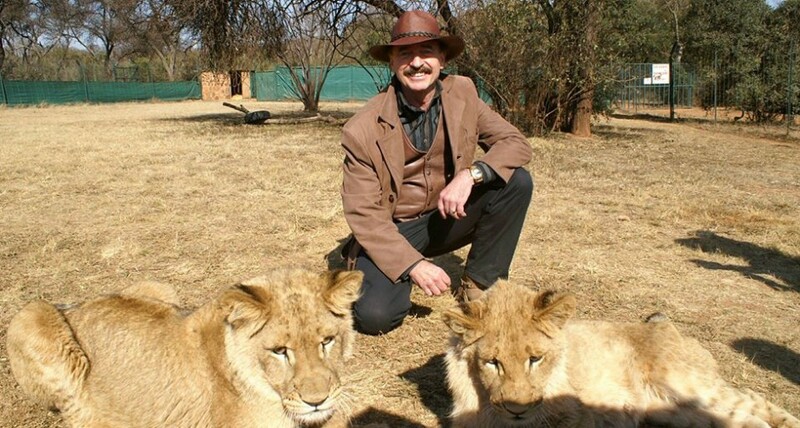 Jim’s business operates in seven countries and territories. Jim and his wife Sharon have received many awards in the direct marketing industry including the Mark of Distinction Award from the Direct Marketing Association of Canada. He lives in British Columbia, Canada, has served as the government – appointed chairman of the Foundation Board for Trinity Western University, as a taskforce member on small business for the Province of British Columbia and as a member and the chairman of nine charitable and religious organizations over the past 38 years. He was also chairman of World Serve for 37 years. His passion is to help people do more with their lives by discovering and fulfilling their destiny. Jim has been a business associate and good friend to me and my family for over 30 years. I highly recommend his book as a “must read” and “must use” during your Rendezvous with Your Destiny. This entry was posted in Entrepreneurship & Business Ownership, Management & Leadership, Personal & Spiritual Development, Sales & Key Account Management, Training & Speaking. Bookmark the permalink.